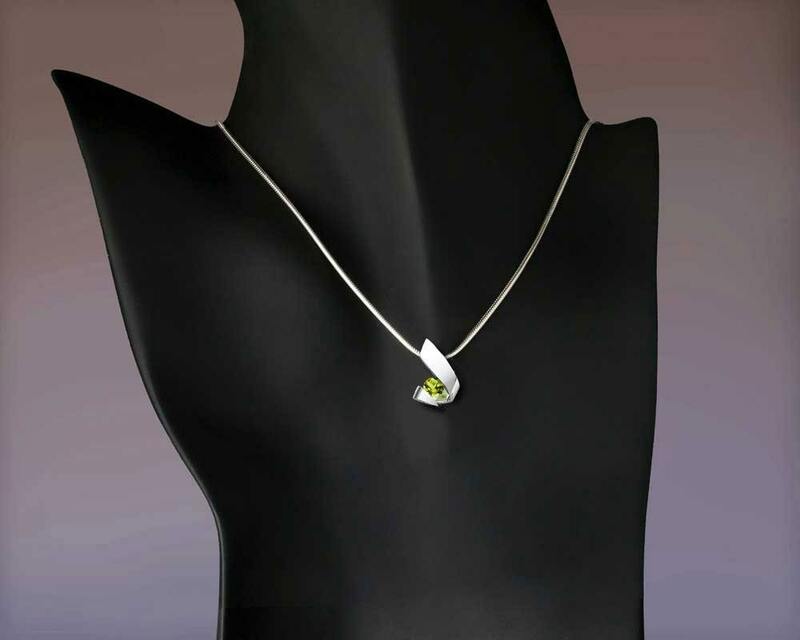 Cast in Argentium 960 premium quality 100% recycled silver, this piece, specially processed for tension setting, measures 19mm x 14mm, or 3/4 x 5/8 inches, and holds a six millimeter Peridot. This item was perfect. 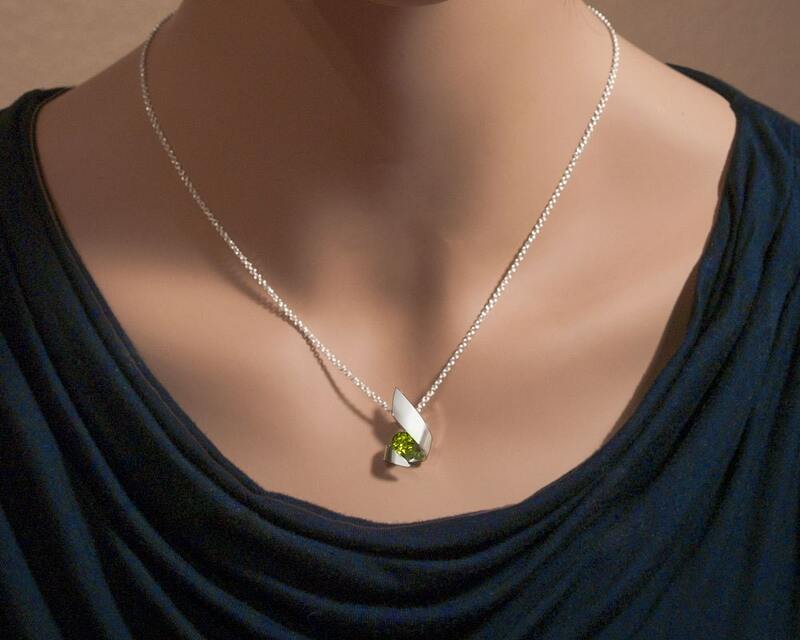 I ordered it for my boyfriend who wanted something with my birthstone and it was perfection! It is a manly looking piece and it looks great on him. 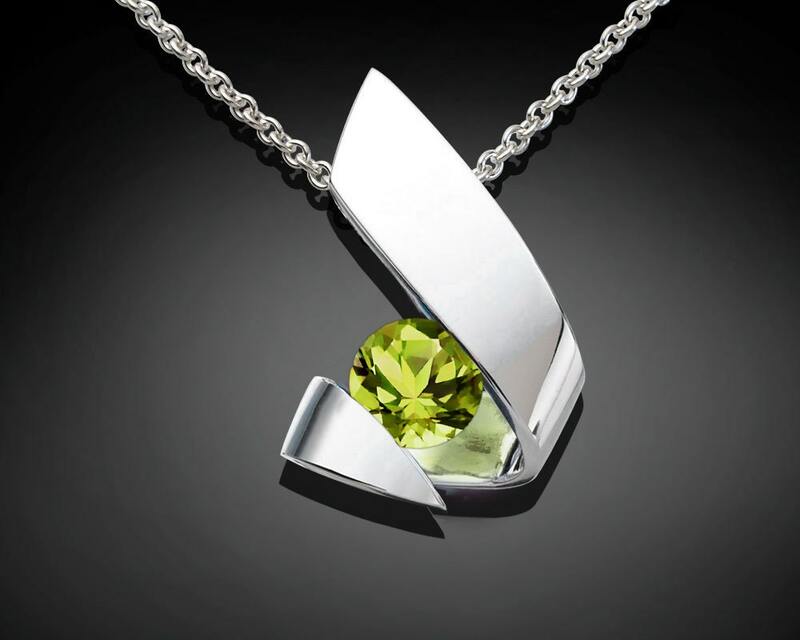 It is such a beautiful necklace. Thank you for the speedy shipping! 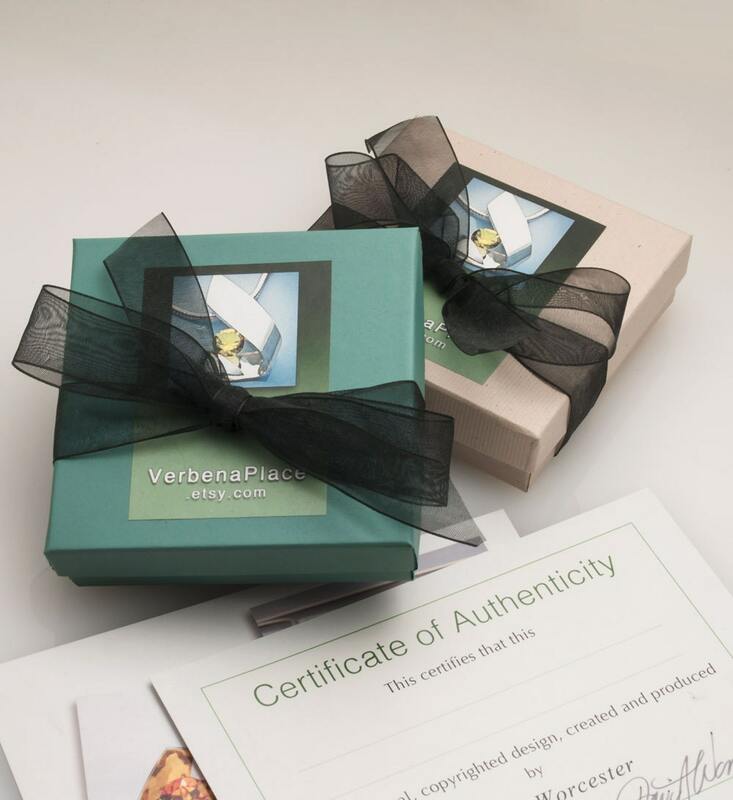 I have admired Verbena Place's jewelry for a while and when I received an Esty gift certificate for my birthday, I knew exactly where I would use it. The pendant is beautiful and I am so pleased with my purchase. 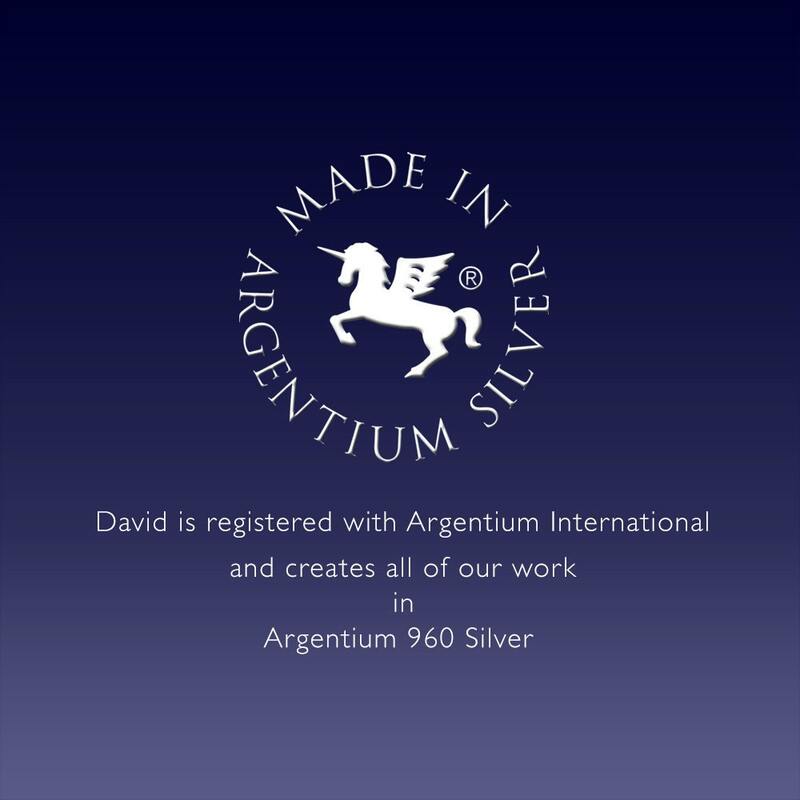 Thank you David and Helen! This item is of a quality that I have never seen before. The pendant was so well crafted and the chain was strong and beautiful. It made an amazing gift for my mother in laws birthday! I'm getting ready to buy one for myself.